Random House Trade Paperbacks, 9780812967357, 256pp. ROXANA ROBINSON is the author of two novels, Sweetwater and This Is My Daughter; a biography of Georgia O’Keeffe; and two previous short-story collections, A Glimpse of Scarlet and Asking for Love. Four of her works have been named Notable Books of the Year by The New York Times. She has received fellowships from the Guggenheim Foundation, the National Endowment for the Arts, and the MacDowell Colony. 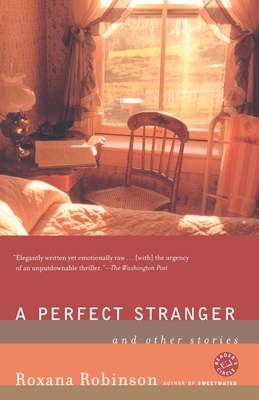 Robinson’s fiction has appeared in Best American Short Stories, The Atlantic, The New Yorker, Harper’s, Daedalus, and Vogue. She lives in New York City and Westchester County, New York.